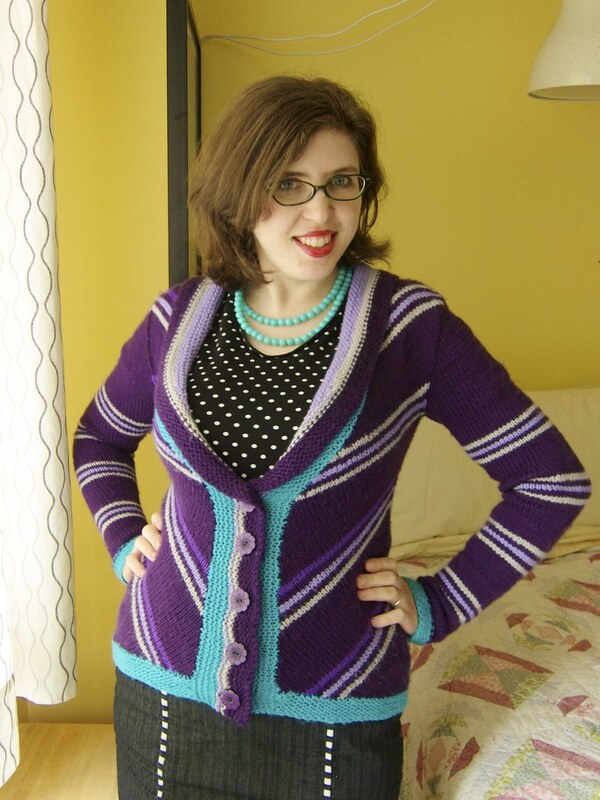 Polka Dot Overload | Sewing, knitting & vintage projects, tips, tutorials and cartoons! 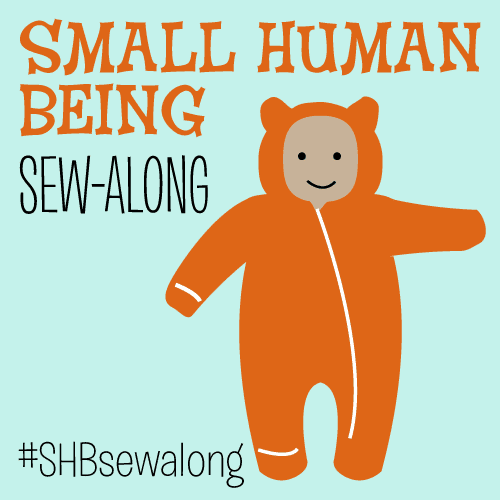 : 2014 makes in review: sewing, knitting, dolls—and a baby! 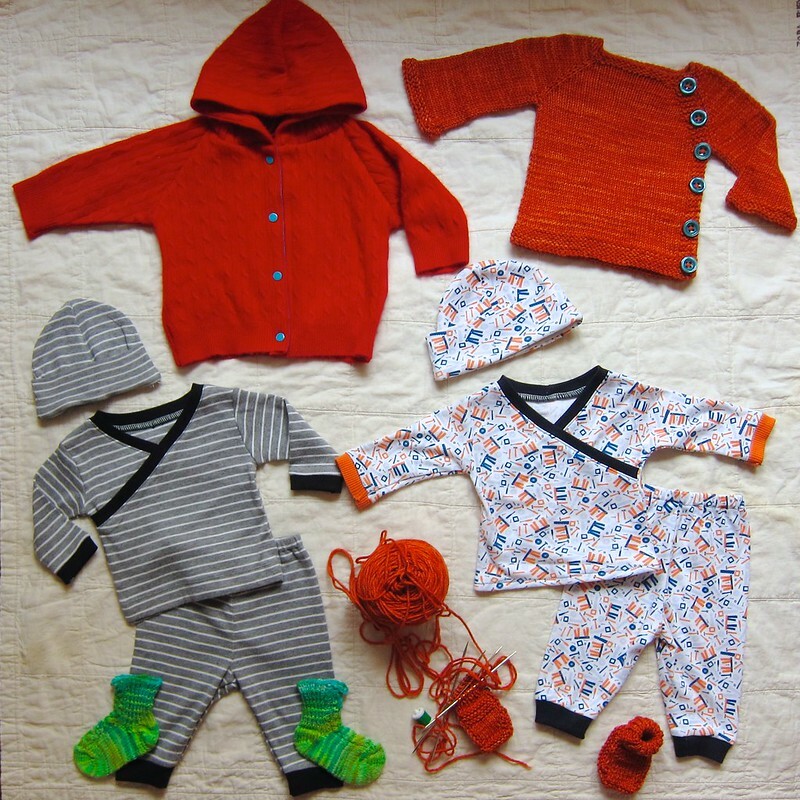 2014 makes in review: sewing, knitting, dolls—and a baby! 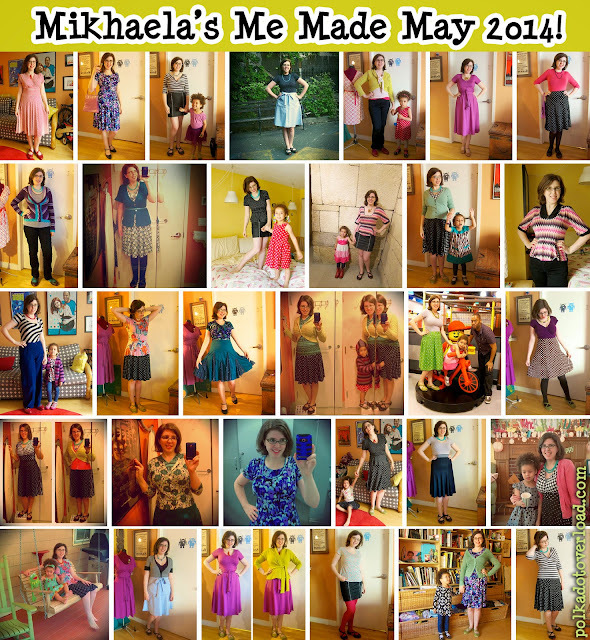 2014 was a good, if erratic year, for all things Mikhaela-made. 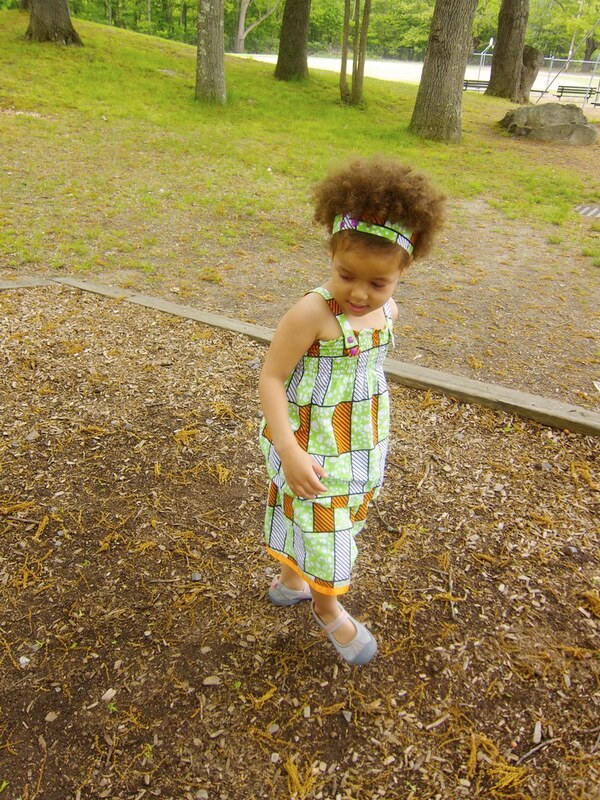 In April, we took a family vacation to Austin that helped me get my sewing mojo back bigtime. I got to hang out with Susan of Moon Thirty, Dixie DIY and a bunch of other wonderful sewists and makers, I bought way too much fabric, and I even sewed a Tilly & the Buttons Miette skirt. I next dove into Me-Made-May with a vengeance... managing to wear at least one me-made item each day AND document it (see top photo collage). I also sewed and knit up a storm, finishing EIGHT garments for myself during the month: two knit dresses (a Cake Patterns Red Velvet and a vintage 1970s Simplicity dress, three tops (a Hummingbird, a Tee, and a Nettie), a faux-denim knit skirt (Jalie 2681, scroll down here), a sweater (my beloved purple striped Delancey) and a knit peplum jacket (McCall's 5529. 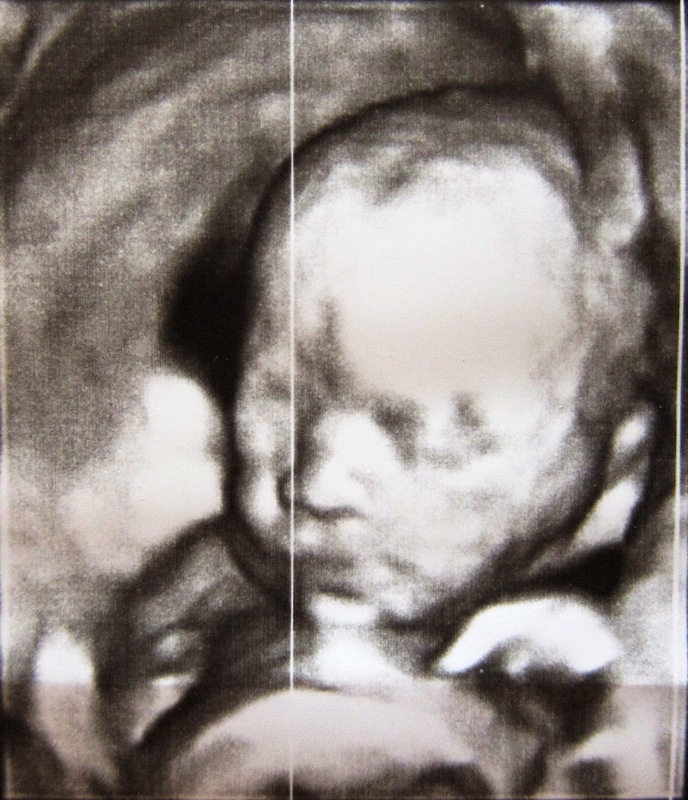 Half-way through May, I found out I was pregnant with baby #2... and then found myself trying to hide it in blog photos for the next few months so as not to give it away until I far enough along to share publicly. 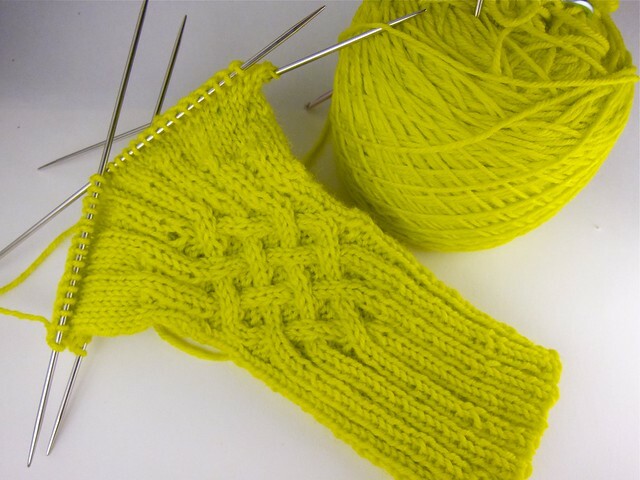 I also participated in my first book blog tour, for Alexis Winslow's Graphic Knits. 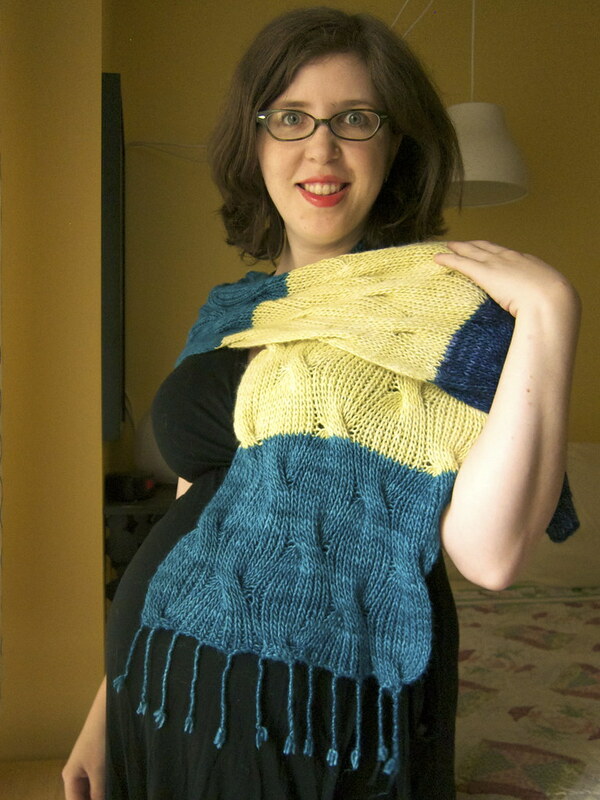 My project was the Bowerbird Wrap in a lovely soft merino-silk blend. I have worn this snuggly, soft thing as my go-to scarf almost every day since completing it. 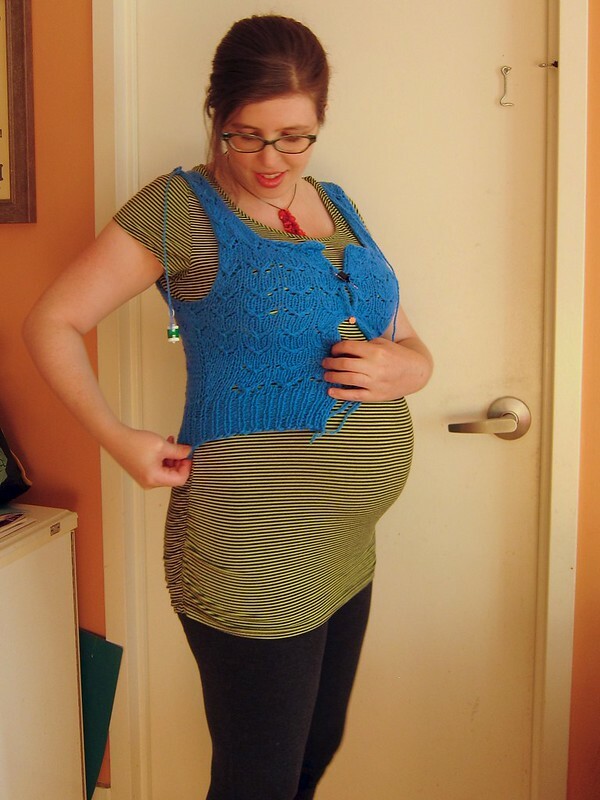 I meant to make maternity stuff this year, but it never actually happened—I had plenty of items left from last time, plus some great used and hand-me-downs, plus I never intend to be pregnant again... so instead I binged on making baby things. Lots and lots of baby things! For friends' babies, and my own baby-to-be. For a grand total of 33 finished sewn or knitted objects—probably a record for me, but then again... baby stuff is so quick and tiny. ... and my almost-there blue Hetty cardigan by Andi Satterlund that I will return to finishing when I can actually wear it. Looking ahead to 2015, I don't plan to be too ambitious with my crafting, since I'm 38 weeks pregnant now and will soon be a sleep-deprived and milk-spattered half-awake mama of two. Partway through December I got put on partial bedrest, so it's mostly been a lot of knitting while lying on my side since then, with only tiny little sewing interludes. I did start making some DIY nursing pads recently, and maybe—MAYBE—I will make some nursing tops as well. Can't get over that Ghostbusters pic. Your family is too cute! Hope you're feeling OK and all goes well with the new wee one. Oh gosh, so sorry to hear about Z's new allergies?!!! GAH!! 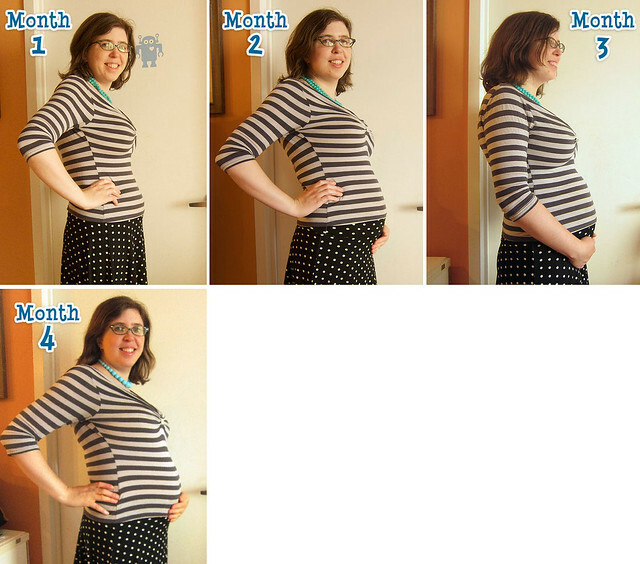 You have had an extremely productive year, especially given your pregnancy and Z's allergies! 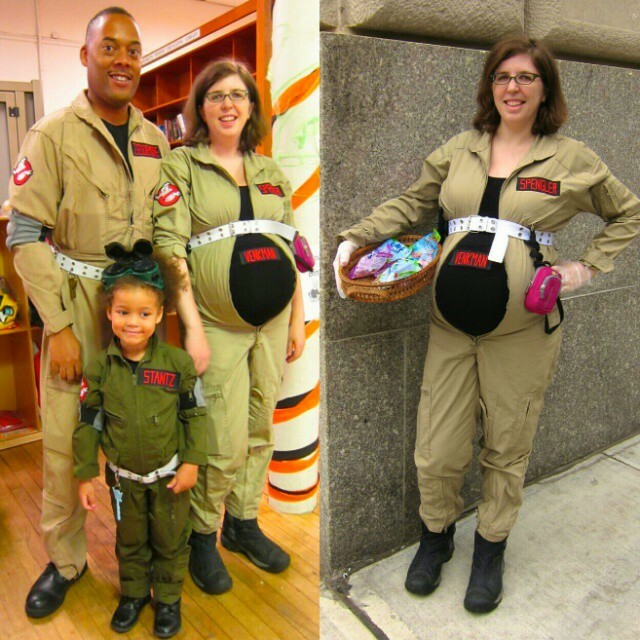 I think my personal favorites are your Halloween costumes (I die. I simply die.) 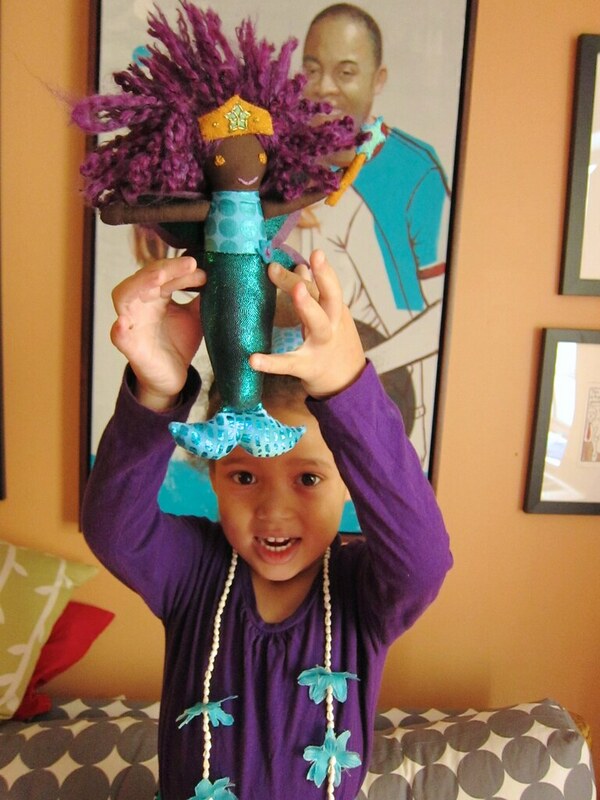 and Z's mermaid superhero doll. But that pile of baby stuff is mighty, mighty cute. Can't wait to meet the newb. 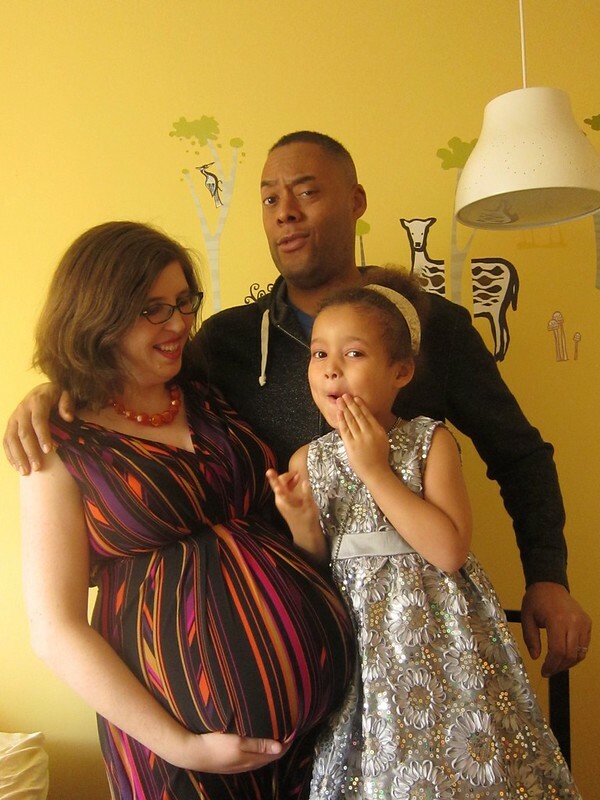 Wishing you a safe and peaceful birth and a great babymoon.